Occasionally, a credit card company makes a… questionable – if not downright disappointing – business decision. First Premier appears to be in the hotseat with its $400 annual fee. In fact, not only is the credit card company hitting consumers with a 36% APR, but the fees associated with using the credit card are raising more than a few eyebrows. The First Premier platinum credit card is designed to draw consumers who might have a few credit blemishes but are looking to repair their credit scores. But is First Premier doing a huge disservice to this growing market? To date, First Premier has drawn more than 2.5 million customers and not only that, but its marketing efforts are believed to reach close to 2 million more would-be customers each month. It insists it’s doing good work as it seeks to help those who might have a stack of declines and believe they simply won’t ever qualify for a credit card. It says its higher price is just the cost of doing business and that it’s covering its risk. Critics insist the credit card company is anything but a friend to those struggling with credit problems. Indeed, the one glowering fee that’s raising a ruckus in the industry is the credit card company’s “credit limit increase” fee, where a consumer, after requesting a rate increase, is forced to a fee of 25% of the limit increase amount. The company says only about 25% of credit increase requests are approved each month. Further, the card company says it reminds its customers before a request is approved that the fee will be applied. For those looking to raise their available credit by $200, they are it with a $25 increase fee. So are all credit card offers like these? For those with bad credit, credit card offers that aren’t out to take advantage of their circumstances can be difficult to find. Here are a few secured credit card offers that avoid the outrageous fees First Premier as chosen to run with. This credit card, like the First Premier, is designed to help consumers strengthen their credit scores and credit history. The APR is a bit high – 22.90%, it is a price those struggling with past credit problems must endure for the short term. The annual fee is only $29 and there are no processing or application fees associated with this offer – and certainly not a “limit increase fee”. In fact, you can qualify for credit line increases higher than your initial deposit without having to increase your deposit. It’s a Capital One, which is one of the most recognized and respected names in the industry. Your payment history is reported each month to all three credit bureaus and your deposit is placed into a FDIC savings account. This gold credit card is another popular choice for consumers. Your approval is guaranteed and your APR is an impressive 9.99% that won’t change because of a late payment. It has the highest rating for financial strength and security in the United States. The annual fee is $50 and yo don’t have to worry about outrageous fees that make it not worth your time. Another popular choice, this credit card requires no credit history to qualify and it too reports to the three major credit bureaus each month. Your initial deposit is held in a FDIC insured account and your annual fee is an affordable $39. 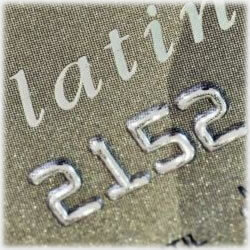 Late payments will cost you $35 and if you go over your credit limit, expect to pay $35. This is much more in line with the kinds of offers those looking to improve their credit scores will be drawn to. Clearly, not all secured credit card offers are the same. It’s important to do your research, closely examine the fee structures and don’t settle for a credit card offer that seems unreasonable. Ultimately, the power is in your hands, as the consumer, as to how much you want to pay for a better credit score. It takes time, but with the right decisions, it’s not a painful experience that drains your bank account each month. Remember to read the terms and conditions before applying for any credit offer.